Family, friends and fellow firefighters gathered Friday to transport the body of Jake Walter from Santa Clara County back to Oakland. Walter, 30, was one of the two off-duty firefighters shot late Thursday in San Jose, right across from a family friendly event at Gordon Biersch Brewery. The rookie firefighter succumbed to his injuries at a hospital and the other firefighter is hospitalized in stable condition. "The result of this tragedy has left a somber cloud over the Oakland Fire Department and its members and (the) family members of those who were both injured and now deceased," said Darin White, Oakland Fire Department's interim chief. "We grieve for our lost colleague and we wish for a speedy recovery for the individual that’s injured right now." A procession was held while family and firefighters transported Walter back to the East Bay. Fellow firefighters could be seen paying their respects and saluting along the procession route. 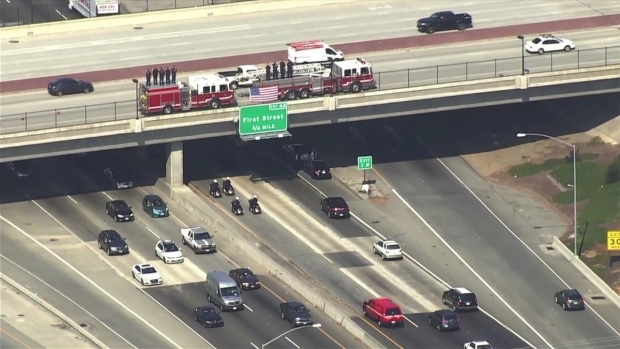 Family, friends and fellow firefighters gathered Friday for a procession that transported the body of Jake Walter from Santa Clara County back to Oakland. 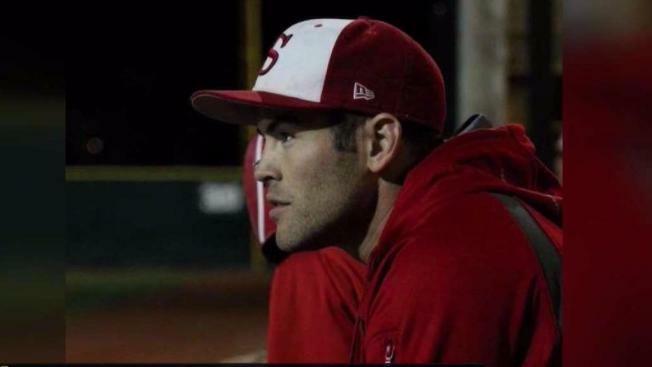 Friends said Walter was a baseball star at Skyline High School in Oakland and Cal State East Bay. He served as a paramedic before taking classes to become a firefighter. Walter joined the Oakland Fire Department this year. "Our thoughts and our prayers go out to the families, the friends, the loved ones, our internal fire department family," White said. The person accused of shooting the firefighters was identified by police as Oliver Juinio of San Jose. He fled after opening fire, but was located shortly after and arrested, police said. Juinio will be booked into the Santa Clara County Jail for murder and attempted murder.